Software programs automatically create shortcuts in our PC after installation which remain in place even after you uninstall it. Aside from being useless, these lingering shortcuts can pose unwanted risks to your computer because they can serve as tools for attackers to send malicious code to your machine. Therefore, it’s important to wipe your PC clean of broken shortcuts but locating shortcuts on your computer can be a challenge. Phrozen Software’s Shortcut Scanner is one of the tools that can help you get the job done quickly. It is a third-party software that works to scan your PC and trace all shortcuts. Some of these shortcuts are hidden and can be dangerous because they can result in the shortcut virus. In addition to being difficult to detect, the shortcut virus infects the boot-up process and comes to life once a computer starts. If you frequently download illegal files from the internet, chances are that the virus multiplies and worsens with every illegal download. Most shortcuts can contain arguments or malicious codes which fall under the dangerous category. 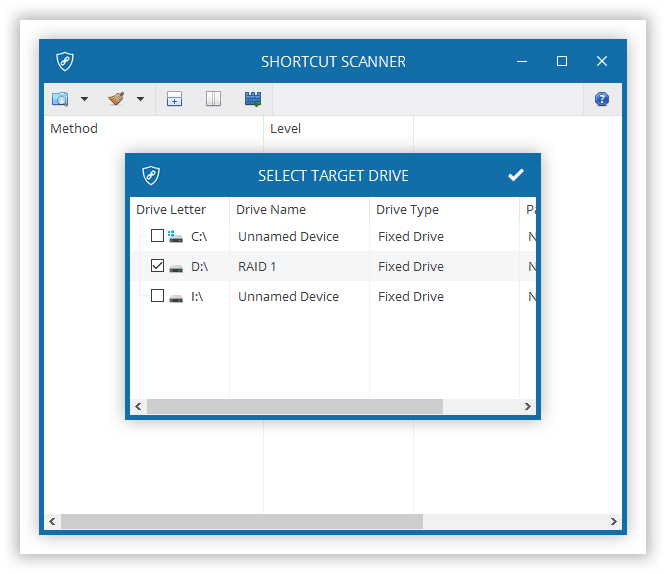 PhrozenSoft’s Shortcut Scanner has a user-friendly interface for scanning all drives in your PC to detect broken and dangerous shortcuts. Additionally, you can specify the drive upon which you want to perform a scan. The full-scan process lasts for less than a minute and lists the shortcuts as .Ink files. Detected shortcuts fall under three categories: dangerous, suspicious, and broken. If you want to give a try, Shortcut Scanner for Windows is available to download from PhrozenSoft.